In addition to the class teacher, each class has at least one Learning Support Assistant to provide extra support where needed. To help set up and keep under review the broad framework within which the headteacher and staff run the school. In order to do this the governing body aims to focus on the key issues of raising standards of achievement, establishing high expectations and promoting effective teaching and learning. To monitor and evaluate the school’s effectiveness, acting as a ‘critical friend’. To ensure accountability, that is, ensuring good quality education in the school and ‘value for money’. Parents will be invited to stand for election as parent governors every four years or as vacancies arise. Foundation Governors are appointed by the Diocesan Board of Education via the Parish Church. These appointments may be people who are not parents, but are keen to encourage the good ethos of the school. All the governors give their time freely in order to ensure the conduct and general principles of the school are upheld. They are appreciative of comments and views held by parents. Governor attendance at FGB meetings over the year 2016 – 2017 was 67%. To provide support and guidance for the Head-teacher and the governing body in all matters relating to budgeting and finance within the agreed framework, County Council’s financial regulations and any central Government legislation. To ensure that all policies relating to finance and staffing are reviewed and amended where appropriate and are in line with any statutory requirements. To receive and review budget monitoring reports on a termly basis. To consider each year’s School Development Plan in line with the 5 yr strategic/financial plan and ensure priorities are identified and adequately provided for in the School budget. To operate the governing bodies arrangements for obtaining quotation and inviting tenders in accordance with the County Council’s financial regulations. To monitor expenditure of the School Fund and ensure that the annual audit is carried out and the outcome is reported to the governing body. To ensure that the School Value Financial Standard (SFVS) is completed and reviewed annually. To recommend to the governing body a Charging Policy in accordance with legislation and guidance provided by the local Authority (LA). To ensure insurance arrangements are appropriate and sufficient. To be aware of funding opportunities and how these can be accessed. To ensure that annual inventory check is completed. To authorise write-offs and disposals of assets in accordance with the County Council’s Finance Regulations and ensure that such decisions are included in the annual inventory check report to the governing body. To review the Individual Salary Range (ISR) of the school annually. To review the school’s staffing structure annually, including the costing of this. To monitor the school’s procedures for staff development and support for any NQT’s. To monitor the implementation of the Schools Performance Management and Pay Policy. To support the Head Teacher as necessary in dealing with staff discipline and grievance issues. To review staff work/life balance, working conditions and well being, including monitoring of staff absence. To report to the full governing body at each of its meetings. Monitor the committee’s action plans. 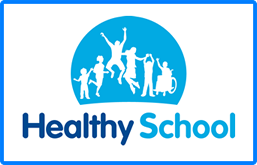 To provide support and guidance for the Head-teacher in all matters relating to Safeguarding, the school premises and grounds, security and health and safety to ensure the school complies with all relevant Health & Safety Regulations. To ensure that formal CRB checks are carried out for all new members of staff and that the school maintains a ‘Single Central record’ for inspection purposes. To ensure the school fulfils its role in relation to Child Protection issues and has the required procedures in place. To ensure that the school follows Safe Recruitment practices and has a formal induction programme for all new staff members. To receive and review the annual Safeguarding audit and Health & Safety reports. Ensure an annual cycle of risk assessment is carried out. Monitor the effectiveness of the school’s Health & Safety arrangements, making periodic inspections of buildings, plant & equipment and annually report to the Governing body. Oversee and make recommendations on aspects of school site security. To draw up, and keep under review, an Accessibility Plan, which will meet the requirements of the Disability Discrimination Act 1995, as amended and updated by the Disability Discrimination Act 2005 and to report on measures taken by the school to ensure that pupils with disabilities are treated no less favourably than other pupils. To establish and maintain policies relating to Behaviour, Safeguarding, Health & Safety and Care & Guidance. Oversee Educational Visits Policy and approve Category B visits where necessary. To ensure the school deals with racism and inequality issues and reports to the Governing Body at each meeting. Monitor the groups’ action plan. To receive and monitor any reports, external or internal, and to monitor Teaching and Learning within the school. Ensure an annual cycle of monitoring is carried out. To establish and maintain policies relating to Curriculum including assessment, data, pupil progress, behaviour .